For central air conditioning repair that you can trust and rely on every time you call, turn to the experts at Caldeco Air Conditioning & Heating. Since 1989, we have been The Hometown Experts, and we are the team to turn to for top-quality, affordable AC repair, maintenance, duct cleaning and more. We specialize in home AC repair and staff the area’s best AC technicians. Every member of our team has the skill, experience, and knowledge to expertly handle nearly any central air conditioning repair. They are trained on a wide range of makes and models, and they will work quickly to diagnose and repair any AC issues that you may be experiencing. 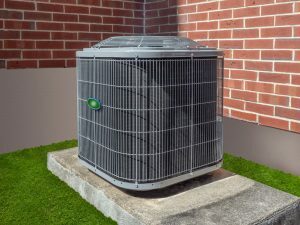 In addition to providing top-quality residential AC repair, we are also renowned for providing affordable, fast, friendly and reliable commercial AC repair and maintenance. There is no job too large or small for our team of experienced technicians, and our customer service team will help you schedule your service at the time that is most convenient for you. If you are buying a new home or commercial property or are simply in dire need of an updated AC system, we can help you make the best choice for your unique needs and budget. After assisting you with the selection process, we can provide you with superior installation services that ensure your system will be installed properly to maximize air flow and system efficiency. For new AC system quotes, click here. Our reputation speaks for itself, so you can rest easy knowing that your AC system is always in good hands. We are a Carrier Factory Authorized Dealer, staffed with NATE certified technicians, and proud to be a current and five-time Carrier President’s Award winner for outstanding sales, service and support. Caldeco Air Conditioning & Heating gladly serves residential and commercial customers throughout Clearwater, Brandon, Wesley Chapel, Temple Terrace, Land O’ Lakes and the neighboring cities, so contact us today to schedule an appointment for central air conditioning repair, residential or commercial maintenance, duct cleaning and sealing services, new AC system installations, or any other heating or cooling needs you might have.